* TEAM DISCOUNT! When registering two or more attendees from the same organization at the same time, a $50.00 discount will be applied for each person starting with the second person in the group. This year’s location is the iconic Renaissance Hotel in Pittsburgh. Receive special rates on your Leadership Summit guest room reservations and airfare with Delta Airlines. Thursday, October 3, 2019 | 9:00 a.m.- 10:15 a.m.
A Rising Tide: The Traits and Principles Leaders Seem to Just Know (but Learned Somewhere) with Peter Talleri, Major General, U.S. Marine Corps (Ret.). For more information on registration and sponsorships, contact events@parking-mobility.org. 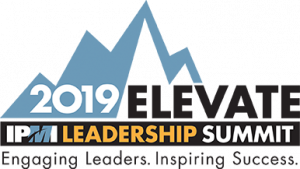 For a look back at last year’s event, details, and agenda, check out the 2018 Leadership Summit.